Dallas Auto Transport, Dallas Auto Transporters, Dallas Auto Transport Company since 1995.
will move your vehicle safely and quickly anywhere in the United States. We move autos for Corporations, Dealerships, Private Individuals, Professional Athletes, and Moving Companies. We provide the highest standard of safety and security in the automobile transport and car shipping industry. Whether you're a dealer, manufacturer or individual, we offer the most technologically advanced service available for your car's journey door-to-door, coast-to-coast. 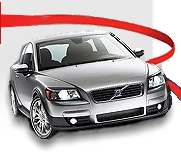 866-389-5551 to get your FREE no-obligation instant car shipping quote! We'll be happy to help you get your car down the road.